Amaya CEO David Baazov isn’t the only one being charged by the Autorité des Marchés Financiers (AMF), Quebec’s securities and exchange supervisory office. Last week it was revealed that the Amaya head honcho was facing five charges on suspicions of insider trading misconduct leading up to his company’s $4.9 billion takeover of the Oldford Group and its assets PokerStars and Full Tilt. Baazov, along with Benjamin Ahdoot and Yoel Altman and two corporations, are accused of using privileged information to engage in unlawful trading that reaped substantial rewards. As the gaming community rushed for details, specifics emerged by way of Canadian newspaper Le Journal de Montreal which reported on the wide-reaching extent of the investigation. According to the media outlet and AMF claims, Baazov’s brother Josh acquired internal Amaya information and communicated the knowledge to longtime associate Craig Levett. Levett allegedly used the insider information to advise other investors into making strategic purchases in a variety of companies that eventually led to a purported $1.5 million profit. As is the case in America, the presumption of innocence is a cornerstone of Canadian law and Baazov, his brother, nor Levett have been found guilty of any wrongdoing. David Baazov said the allegations are false and that he’ll “vigorously contest” the accusations. Based on documents Le Journal de Montreal journalist Hugo Joncas obtained, the AMF places Josh Baazov as the middleman of the trading scheme. Levett, who calls himself an executive consultant on LinkedIn, allegedly funneled the private intelligence of Amaya to 11 individuals who used it to execute investments. Seven companies were allegedly invested in including Amaya, Cryptologic, Chartwell Technology, WMS Industries, bwin, Oldford Group, and The Intertain Group. Levett, Josh, and the 11 others haven’t officially been charged in Quebec, but the AMF has obtained search warrants and frozen their trading abilities. It’s unclear what percentage kickback Josh Baazov received, if any, though Joncas is reporting that the AMF has traced two checks totaling CDN$32,000 ($24,273) from Levett to Baazov with “gift” in the memo line. The latest headlines show that AMF detectives will need to untangle a complicated web of activity if they hope to discover a money trail that proves any such corruption occurred. As the scope of the AMF exploration broadens, anxieties among New Jersey gaming regulators are likely increasing. The state’s Division of Gaming Enforcement (DGE) conducted a comprehensive review of Amaya’s corporate governance before issuing the company an interactive gaming license last September. 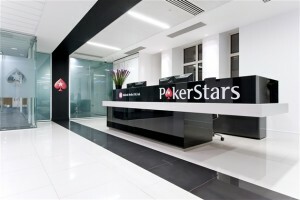 DGE Director David Rebuck’s office was challenged with determining if the culture at PokerStars and Full Tilt’s new parent company was different than the environments the two poker platforms acted under during their illegal operations between 2006 and 2011. After an international probe, Rebuck concluded that Amaya’s application should be approved, albeit with certain conditions. Rebuck’s team went around the world conducting interviews and investigating what they felt at the time was an all-inclusive inquiry. That’s why this week’s AMF disclosures must surely unnerve those in the Garden State.